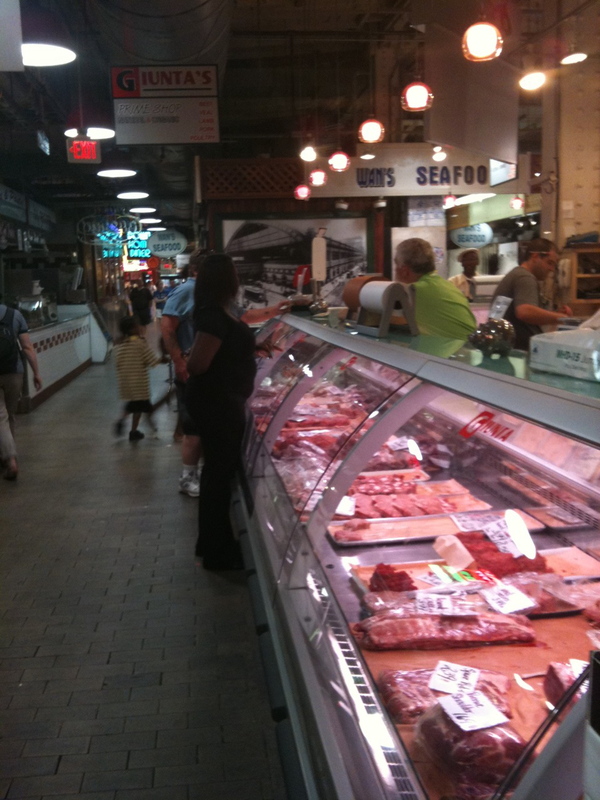 Giunta's...like the butchers in old Nick at Nite shows. 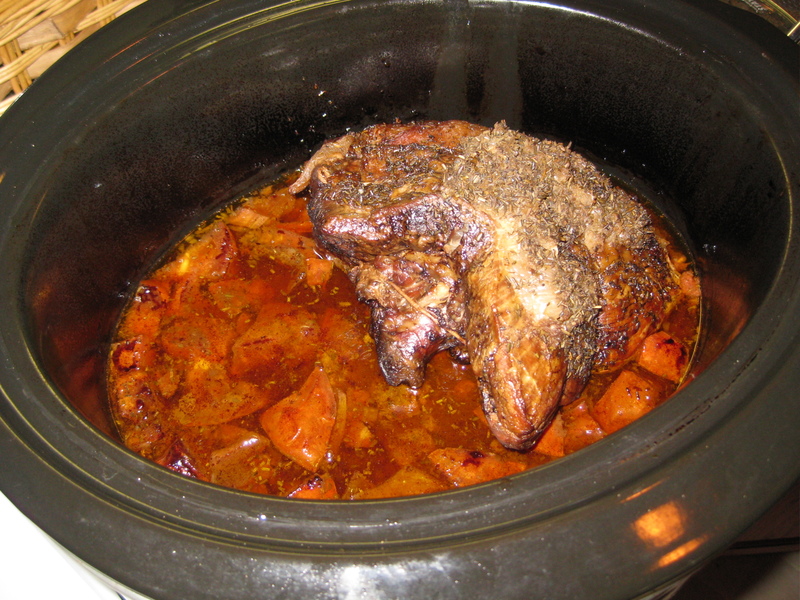 Here's a simple, easy Slow Cooker Rump Roast recipe. It provides enough meat for lunches and dinners all week long. Rosemary, Thyme, or any combo of your favorite herbs. Remove the roast from the fridge about an hour before cooking. Season and rub the spices in, or make little slits in the roast to slip in a few cloves of garlic. Wrap tightly with saran wrap and allow roast to come to room temp. Once the roast is at room temp, heat the fat or oil in a skillet and sear the roast on all sides to seal in flavor. 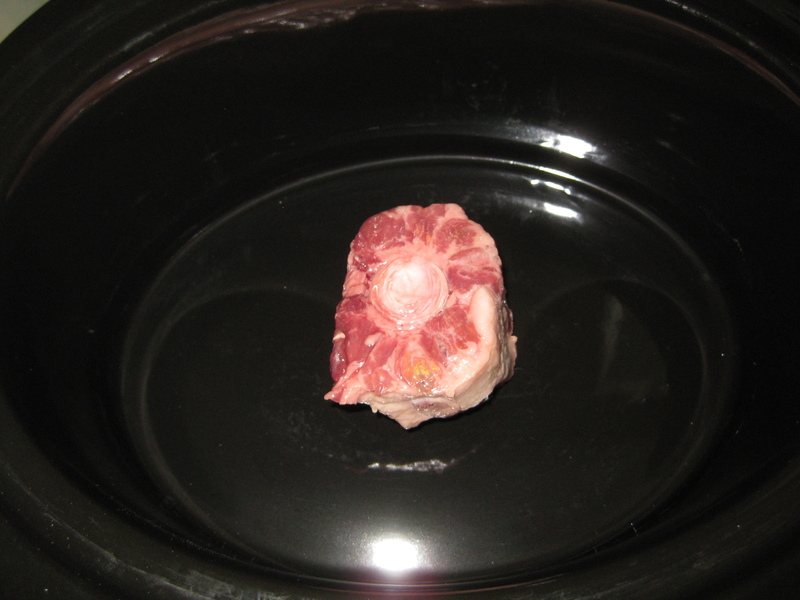 Add the oxtail to the slow cooker. Yup. Looks like an ox tail. Place the roast (layer of fat facing up, if applicable) on top of the oxtail (my roast was tied, so I slipped the oxtail inside the ties to be sure the roast didn't slip off.) Add the veggie broth and place onions on top of the roast. Cook for 8 hours on low – make sure internal temp is at least 140 degrees. Set the roast aside once cooked and remove and discard what's left of the oxtail. Strain the remaining liquid of all vegetable matter and bring it to a simmer on the stove. Let the gravy thicken and remove from heat. Save and serve with the roast throughout the week! FYI: Taking the lid off the Slow Cooker adds about 20 more minutes of cook time. Yeesh.